c-spice® t is a sewed textile casing inside coated spices or herbs. 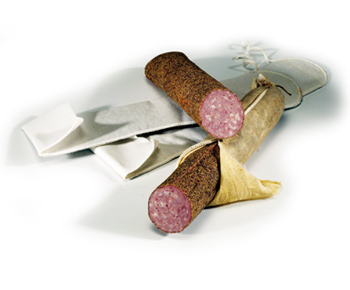 During curing the spices or herbs are transferring on the surface of the dry sausage. c-spice® t-casings will be sewed individually in diameter and length on customers demand.